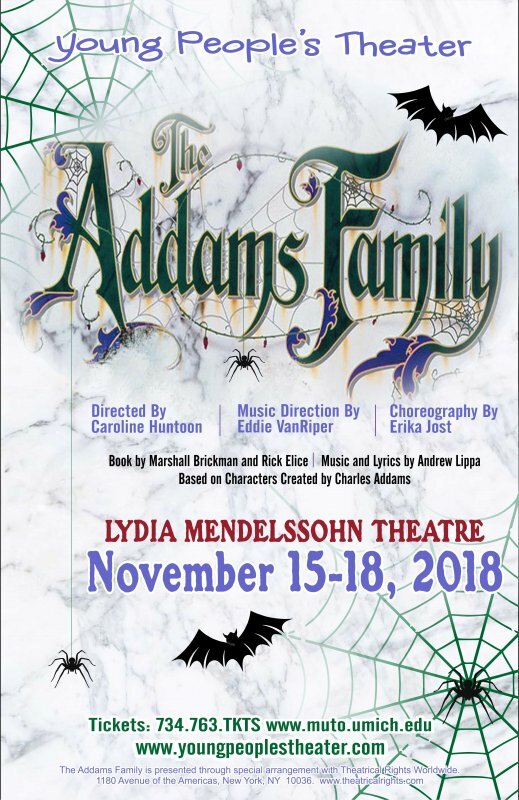 THE ADDAMS FAMILY is a musical comedy for the entire family! Brace yourself for more macabre mayhem and monstrous madness. Love is in the air — Wednesday Addams has grown up and fallen in love with a sweet, smart boy from Ohio of all places. 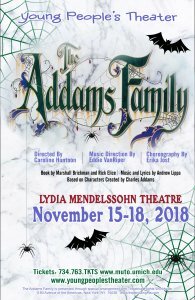 Everything will change for the whole Addams clan on the fateful night they host a dinner for Wednesday’s “normal” boyfriend and his parents. Adult: $15. Senior: $10. Child/Student: $10. Service fees apply. Children/Infants need a paid ticket to be admitted.